The instructor-led course is approximately up to 4 hours, with skills testing by an ASHI instructor during the course. Attentive Safety CPR and Safety Training's ASHI CPR, AED and Basic First Aid combination training allows instructors an easy option for students seeking a comprehensive training class. Attentive Safety CPR and Safety Training's ASHI CPR, AED and Basic First Aid helps develop basic first aid knowledge and skills, and the confidence to respond. 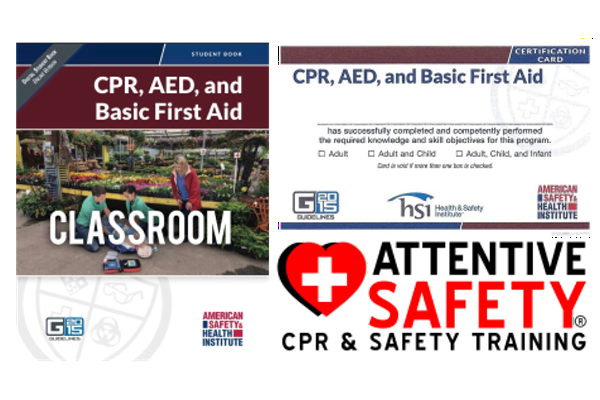 Attentive Safety CPR and Safety Training's ASHI CPR, AED and Basic First Aid training is an excellent choice for both the community and workplace setting, and conforms to the 2015 AHA Guidelines Update for CPR and ECC, and the 2015 AHA and ARC Guidelines Update for First Aid. ​This course is NOT for healthcare providers, or students in healthcare related programs. Healthcare providers and healthcare students should take BLS for Healthcare Providers. Please check with your institution to make sure this is the correct course for you. Based upon the 2015 International Consensus on Cardiopulmonary Resuscitation (CPR) and Emergency Cardiovascular Care (ECC). 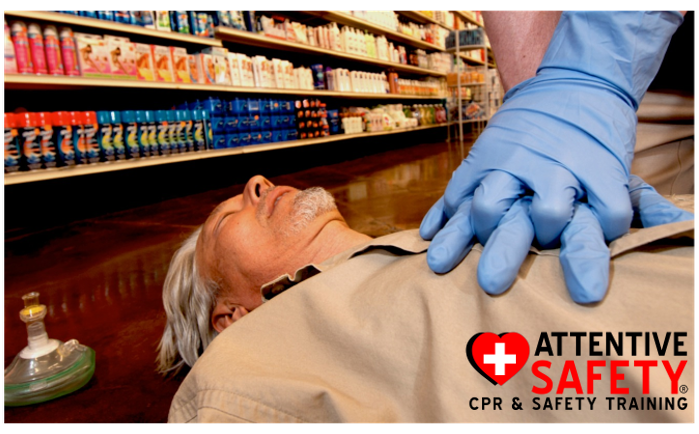 Conforms to the 2015 AHA Guidelines Update for CPR and ECC, and the 2015 AHA and ARC Guidelines Update for First Aid.